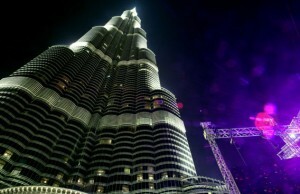 At.mosphere is situated on the 122nd floor of Burj Khalifa at a height of just over 442 metres. That the high life is lived in Dubai is now a literal truth. Residents of and visitors to Dubai will have another reason to visit the world’s tallest building as of this week, when the world’s highest restaurant in a manmade development opens at the Burj Khalifa. Called At.mosphere, it is situated on the 122nd floor of the already iconic tower. At a height of just over 442 metres, it is situated two floors below At The Top, the building’s observation deck. Previously, the world’s highest restaurant was 360, at a height of 350 metres in Toronto’s CN Tower. Marc Dardenne of Emaar Hospitality, told Emirates247.com via email that the new restaurant, which he described as a grill and lounge concept, would open its doors before the end of January. However, sources have since revealed it will be unveiled on January 23. No poor jokes about getting high, please!